The anti-theft SDS 1 safety container thanks to the upper drawer with tilting compartment allows you to pour the contents into the container without having to open the door. 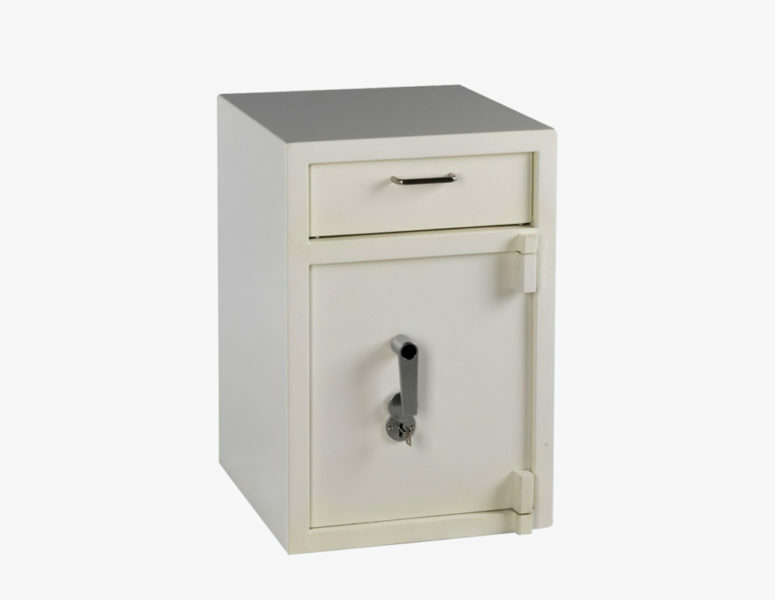 The drawer allows the introduction and fall of money inside the container simply by closing it. 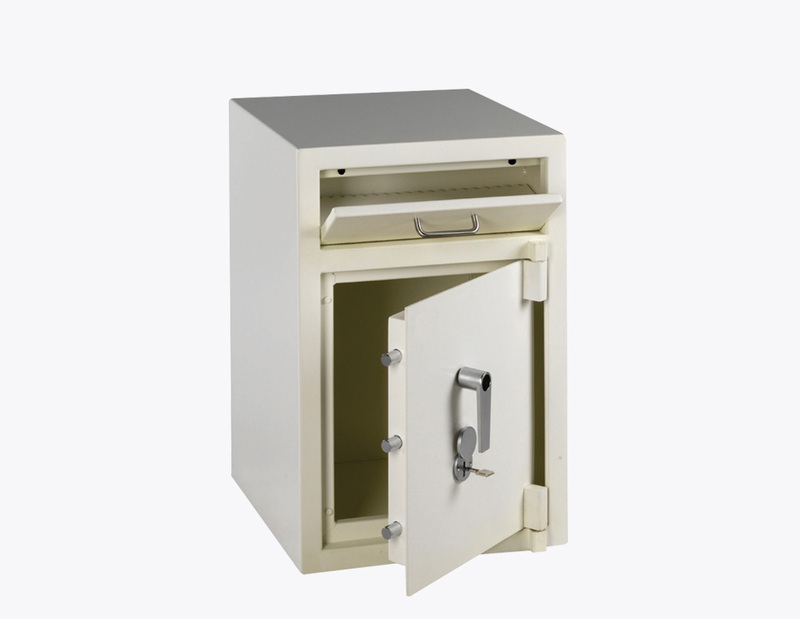 Born for a banking use, today this model of anti-robbery container is also ideal for gas stations and for all commercial activities where there is a continuous flow of money to be quickly secured. 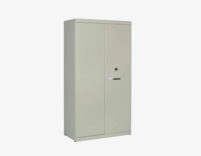 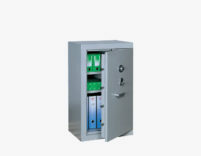 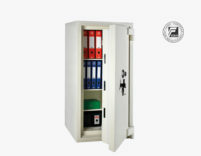 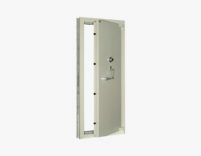 Small in size, the SDS 1 safe is fixed to the floor under the counter or desk using wall plugs. 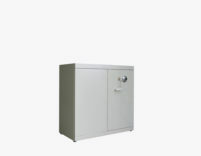 Steel body 2.5 mm thick. 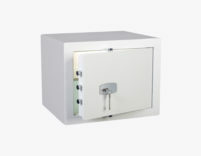 Security lock with double-map key. 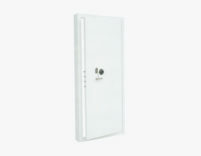 Anti-tear bolts on the hinges side. 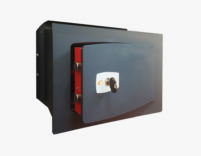 Painting with oven drying RAL 9010 color. 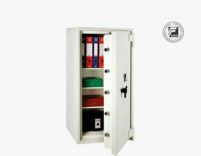 Armored showcase with certificate of conformity. 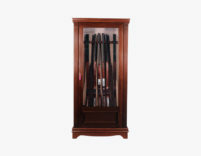 The PFVV1V armored display case is an excellent solution for the protection of your weapons. 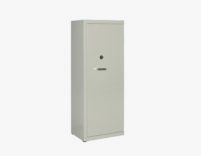 The textured paint gives the surfaces a realistic metallic appearance, with a finish able to give a 3D effect. 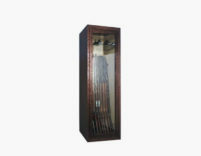 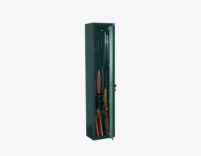 Armoured gun cabinet with shatterproof glass are ideal for the safe storage of rifles and ammunition.